sneaking a little bread creativity into those otherwise long days looking after sick, unwell little people. Late afternoon light. It’s always changing and makes you look at things just that little bit differently. Seeing my work in print in the current edition of the lovely Earth Garden. That’s pretty exciting, I’m not sure that will ever get old for me. 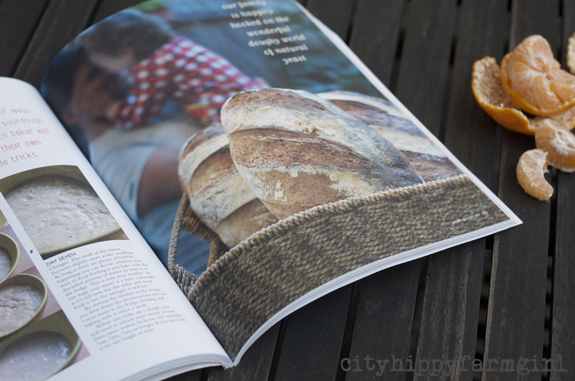 This entry was posted in Rambles, Waffles and Digressions and tagged baked uprising, earth garden, everyday, loving, sourdough by cityhippyfarmgirl. Bookmark the permalink. Your nautilus bread is amazing Brydie. Lucky little people at your house! Trying to sneak in a bit of cooking creativity here too (enormous jam tarts!) whilst looking after my own unwell little person. Earth Garden looks like a beautiful mag – huge congrats. Nothing more thrilling than seeing your own stuff in print, on paper! Lovely-looking photos. Thanks Saskia. It is a really lovely magazine, so it’s a big proud moment for me. Ah it’s just bread stuff that you know already Jane 🙂 But thank you. Little people…sigh. We’re not there yet unfortunately. 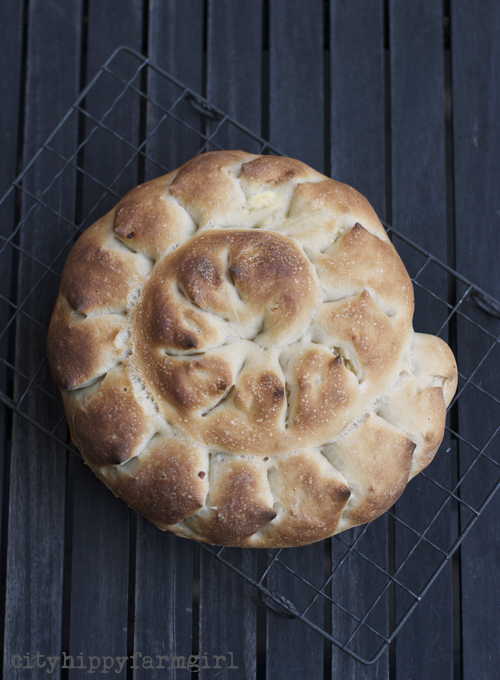 It’s like smellivision… I’m looking at your gorgeous bread and smelling the baking smells from my oven. Congrats on getting published in Earthgarden. I’m a subscriber so I get it the mail. This month’s magazine is waiting on the lounge room table for me to make the most of a quiet time with a cup of tea. I’ll look forward to reading your article. Thanks Deb. It’s a wonderful mag to subscribe to isn’t it. I hope you got a good chunk of quiet time for yourself. hehehe, Lone Wolf is right. Dead right. 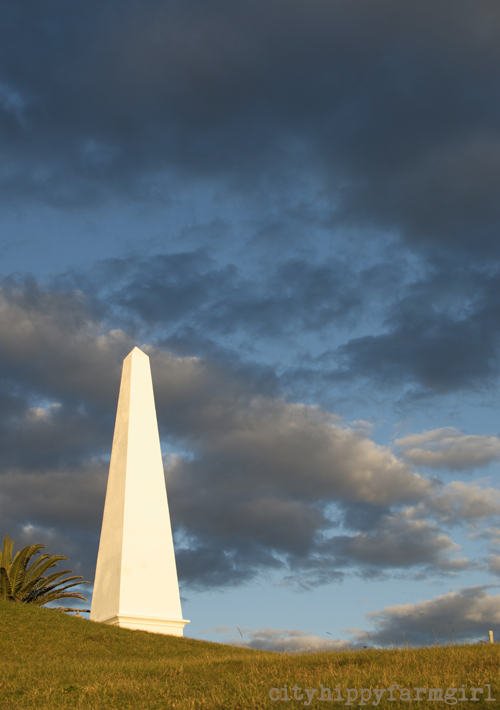 The obelisk shot and the new header was the same afternoon, with the beautiful light. I had a two year old sitting on my back and I was lying on wild fennel (I didn’t know until later) Couldn’t move though as the light, the LIGHT was going to change. That bread looks so beautiful. Almost too gorgeous to eat. I am loving the new Earth Garden format. As usual it is filled with articles about amazing people doing amazing things. The new format rocks doesn’t it. Loving it. Congratulations on your spread in Earth garden. Well done. Sorry to hear you have the usual sick winter children, still you put that time to good use. They are still sick Tania and there is only so much bread I can make…Croquembouche? So excited for you re Earth Garden Brydie, I’ll pick up a copy shortly. I do hope the little people are much better very soon, do look after yourself. Thank you lovely Rose. So far I’m lurgy free, miracle really. I hope it stays that way. Thank you 🙂 It’s the second one of the new format Jane, so it’s all fresh and exciting again. Hope you have a lovely week. Congratulations on your work being featured! I’m sorry you’ve had unwell little people but hope they’re on the mend now. 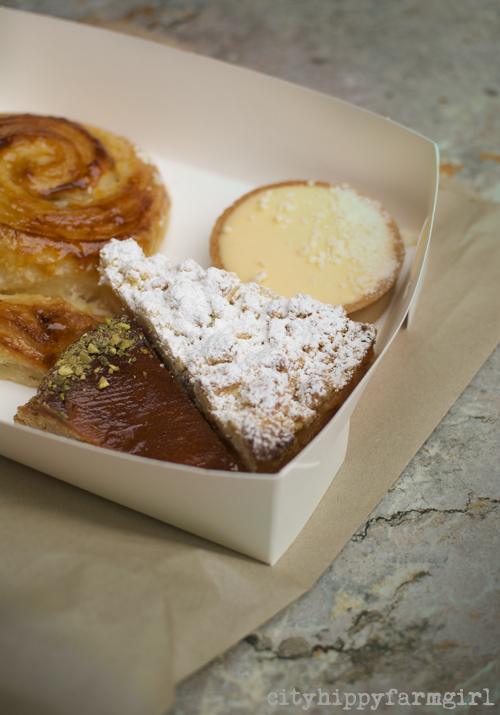 Late afternoon light, creative bread, and appealing baked treats all sound lovely to me. We are not there yet Kari. A beast of a bug! How exciting! Congratulations. I keep old Earth Garden mags under my car seats for those “waiting moments.” I’ll buy this issues this week for sure! Hope you all feel better soon. A sneaky read Zena… I make use of those moments too. Woody Allen said something like “I think in the cracks all the time”. I liked that. Earth Garden looks like an awesome magazine with beautiful pictures – congrats on being in it – too exciting! Baked goods always make me happy too! I’ll take a good cake over a diamond ring any day (luckily my husband knows it). oh me too Katie. A good cake is really rather spectacular. I hope you get some rain to fill that newly installed tank. IT’s been so dry here for ages, I forget what rain looks like. That bread looks delicious. I love eating home made bread with butter! It’s the favorite part of my meal.